The Supreme Court has appointed PricewaterhouseCoopers Ghana – an accounting firm – to ascertain the veracity of the over GH¢1.2 billion claims by NDK Financial Services Limited against the government through the Ministry of Energy. The state being represented by the Attorney-General and the private firm have subsequently been ordered by the court to prepare legal accounts for the auditing firm to work with. It is expected to verify how much the state has been able to pay through the Bank of Ghana and whether NDK is still entitled to more payments amounting to some GH¢1,273,000,000 as judgment debt. The Supreme Court's order follows an application by the AG insisting that the state had fulfilled all financial obligations to NDK with regard to certain payments and interests based on the court's order. Appearing before the court yesterday, Deputy Attorney General Godfred Yeboah Dame told the court that as far as the government is concerned, it has already complied with the judgment of the Supreme Court, but NDK continues to make 'unsubstantiated' claims for more money. The Deputy AG further argued that “in the view of the state implies that the sum of GH¢867,441.5 plus interest at the agreed rate of 6.5% per month calculated at the close of each day and payable at the end of every month from 1st April, 2009, at the end of every month from 1st April, 2009 till the date of final payment”. He also challenged the 'inherent jurisdiction' of the Supreme Court based on which the AG had filed the application. Counsel was however, unable to tell the court how much money the AG owed them but said there were 'unascertained' payments. Justice A.A. Benin, a member of the panel, told the lawyer that the best thing for both parties to do is to appoint an accountant to audit the accounts and ascertain the interest accrued on the principal amount and the lawyer agreed with him. 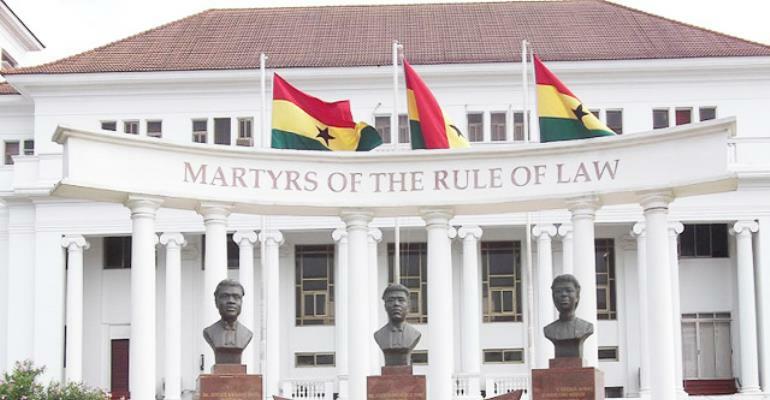 The five-member panel of judges presided over by Justice Sophia Adinyira and assisted by Justices Jones Dotse, Anin Yeboah, Sule Gbadegbe and A.A. Benin therefore appointed PricewaterhouseCoopers Ghana to ascertain the accounts of the two parties.